Chilliwack – Michael Prill is the latest candidate to announce that he is running for Chilliwack School Board. Michael Prill has been a resident of Chilliwack for the past 12 years. Michael is a local business owner who holds a degree in Criminal Justice, and has spent the past 14 years of his career in employment as a federal Public Servant in the Criminal Justice system. In Michael’s current capacity, his focus is on analysing and applying law and policy. This coupled with his previous experience as a union local President has allowed Michael to understand both sides of the workplace relationship. For the past 3 years he has been working directly with children and youth with developmental disabilities through the Chilliwack Society for Community Living and the Fraser Valley Aboriginal Children & Family Services Society. He has been actively involved in youth sports in the city as a coach and umpire, and is a strong believer in physical education and daily physical activity in the growing years. 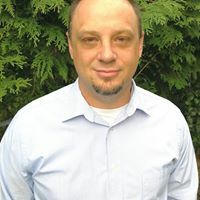 A husband and father of four with two children in SD 33, one entering middle school and one in the final year of high school, Michael has experienced first-hand the numerous evolutions and transitions of the public school system in Chilliwack and the challenges faced by our families. -Improving processes for inviting parent, student and educator voices to the table. There is currently a discord between the Board of Trustees and the citizens it serves, at all levels. I believe there is room at the table for all parties in direct link with appointed Trustees. Each group has significant value to add in SD33, and I will work at implementing and improving processes to ensure improved and welcomed communication and collaboration with student representatives, our District PAC and unions. -Creating acceptable solutions for student transportation in a growing city. As Chilliwack’s population continues to grow, the transportation needs of our students will continue to become more complex. As a parent whose children have been impacted by these increasing demands, I am committed to seeking acceptable solutions that involve consistent processes for courtesy riders, safe student-to-bus ratios, direct bus routes and collaboration with community partners to reduce the costs to families for student public transit ridership. -Advocating for resources for overcrowding and infrastructure. The previous Board initiated the process to seek possible funding for future infrastructure enhancements in its 5-year capital plan. I believe the Board’s united voice to the Ministry of Education will be critical in mobilizing dialogue around these needs and securing the funds required to provide relief to our schools. Recent reconfiguration has highlighted these pressures, and indeed created new ones. Solutions to these rising needs must be a key focus of the Board. Be the first to comment on "Michael Prill To Run For Chilliwack School Trustee"